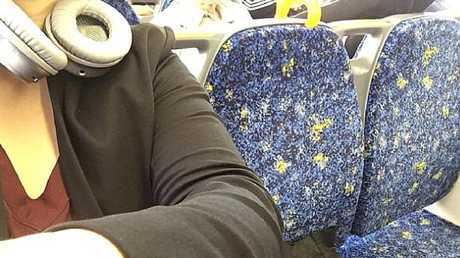 WITHOUT a care in the world, an elderly man has become public enemy number one in Sydney with his bizarre train antics. 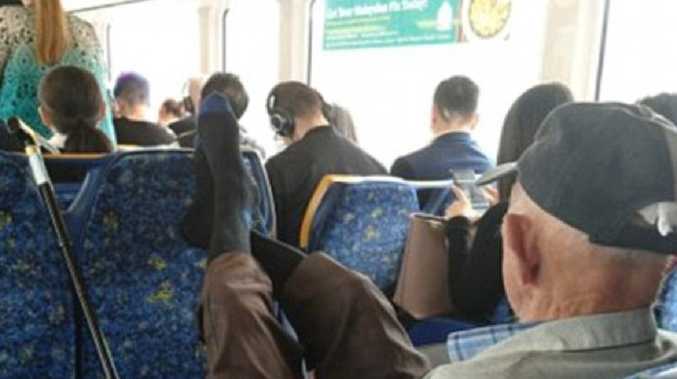 Stunned commuters have fired up over pictures of the public transport pest after a disgruntled commenter uploaded a photo of the old-timer kicking back on a busy train service yesterday morning. Donning a baseball cap and receding brown trousers, he can been seen shoeless with his lengthy, blue-tipped socks aloft and taking up an entire double row of six seats. To make matters worse, commuters can be seen standing in the aisle of the carriage of the packed Airport & South Line service as the man looks on nonchalantly. The furious candid photographer uploaded the high blood pressure-inducing picture onto social media, alongside a caption which asked: "When will someone stop this man from using and abusing public transport?" And, it's not the first time the shoeless offender and has kicked up a stink. In February, he was clocked doing the exact same thing. 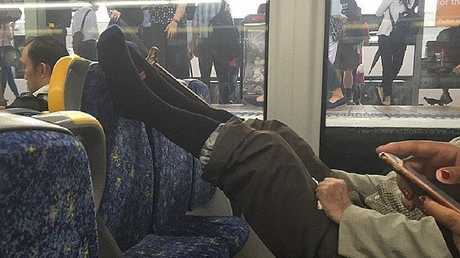 "This lovely old fellow took up *6* seats on a packed peak hour train this afternoon - surprisingly, nobody asked him to move," the person who posted a photo of him at the time wrote. According to comments on Reddit underneath the picture, the man is a serial offender and he doesn't take kindly to being asked to move. The same bloke, in the same pose and the same clothes eight months ago. "I've seen this guy before. Told him to move and he points to his knee," commented one user. "I've seen this guy before! Doing exactly the same thing. When I asked him to move he started mumbling incoherently, gesturing at his legs, and shooing me," echoed another. Another Redditor said they believe they tried to move the man in order to take a seat, which also didn't end well. "I can't tell from the photo but I think I saw him this morn. I asked him to move and he ignored me. I proceeded to move in towards his foot resting on the seat, he mumbled that his knee was injured," they said. In May, another woman posted of her experience with the man on Reddit with the caption: "This guy decided to squish me this morning." As she was sitting, the elderly man pushed the train seat forward, trapping her in her seat. "Hoping I took this guy down a peg but doubt it based on his notoriety. I've never seen someone with such a grudge against society. I think Sydney may have its own super villain," the woman rote on Reddit. 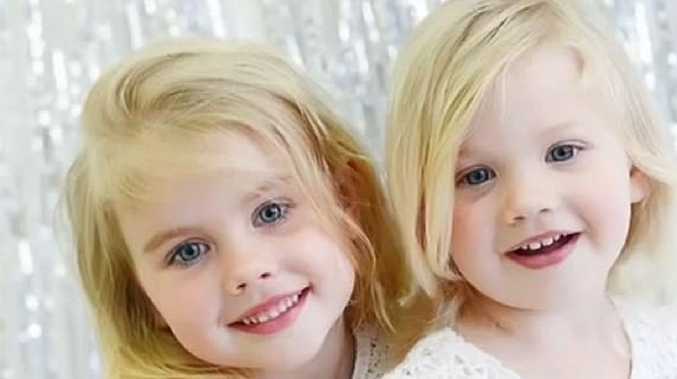 Another woman claimed the notorious commuter spat at her young child as well as other passers-by while at Circular Quay station. "The train came soon after and he seated himself just like in this picture. A young Asian guy confronted him for how he was seated and he spat at him on the fricken (sic) train," she wrote. "He was enjoying and smirking at people's reactions."